When was the last time you gave yourself a break to simply enjoy this beautiful life? Are you are seeking to reset your life with calm, peace and joy that is inherently yours? Gift yourself and renew your spirit with our yoga retreat this summer. The 10 day retreat will be a true bliss and facilitate self-discovery in the last Shangri-La (earthly paradise), Bhutan. 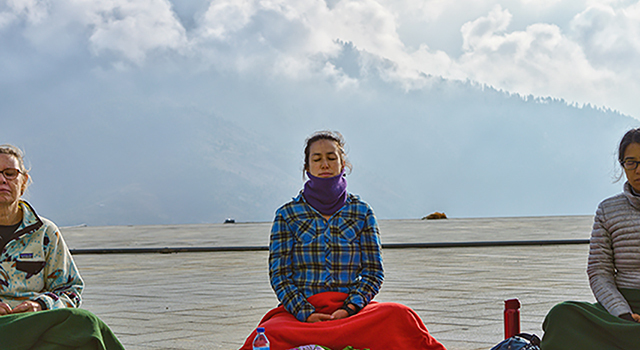 Experience yoga in Bhutan, where “happiness is a place”, and where happiness meets peace. Our yoga retreat is going to be a complete transformation of your vacation experience as you blend the concepts of happiness with peace. Our retreat will surely make an intoxicating experience full of richness mirroring Bhutan, yoga, meditation and adventure. 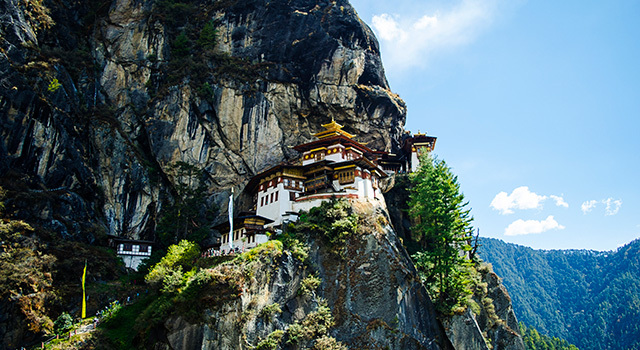 Combining wellness and culture, we will visit and explore Bhutan’s historic landmarks and sample local cuisine. This yoga retreat is a journey full of the adventure you seek, the peace of mind you desire and the relaxation you deserve. 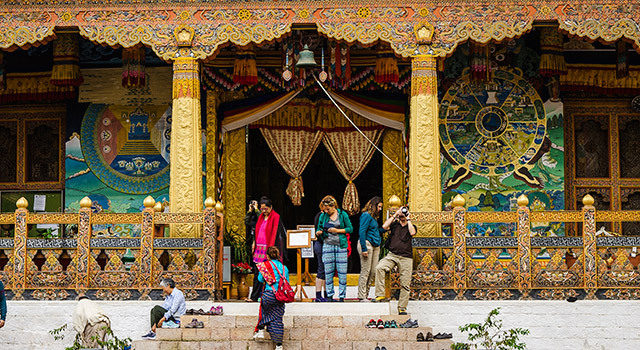 Come and see for yourself the pristine landscapes and why Bhutan is coined One Happy Place. 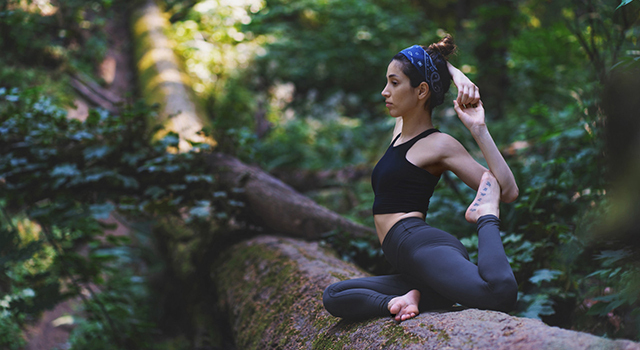 Whether you are a total beginner or a seasoned Zen master, our daily yoga sessions will teach you the art of mindfulness, something you can take home and incorporate it in your life. A regular yoga practice significantly improves focus, reduces anxiety, and promotes overall mind-body wellness. Our yoga retreat will study, practice and learn different meditation methods in our Satstang (sacred gathering) every morning. The morning yoga is truly transformative, you will experience how to breathe and move your body with awareness during your morning Yin and Restorative yoga sessions. 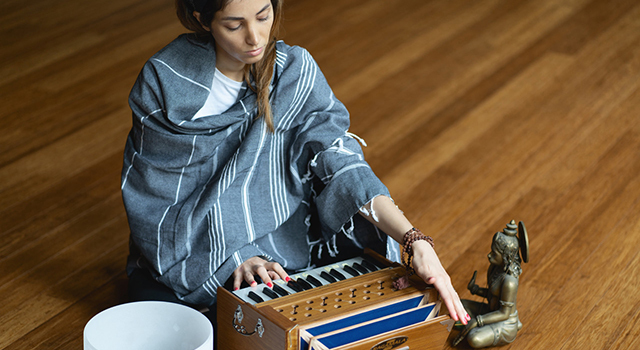 The morning flow may also include chanting, pranayama, slow flow, and meditation. After a day of exploring and adventure, we complete our experience by practicing Gentle Flow, Traditional Hatha, and Vinyasa yoga in a safe, supportive, and grateful evening yoga session. 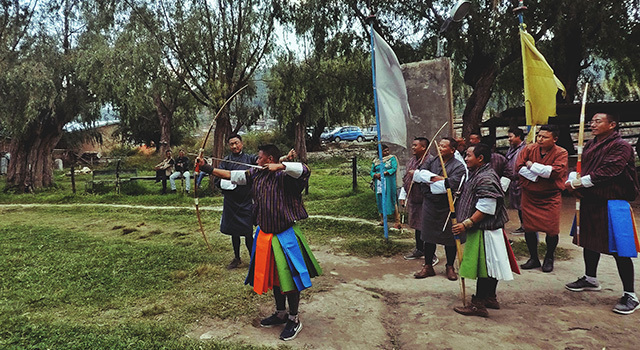 Come, explore and experience the beauty and the unique culture of Bhutan while practicing yoga with Samin. Namaste. My name is Samin, pronounced SA-MEEN, and I am an Experienced Yoga Alliance Registered Yoga Teacher, E-RYT® 200 and Yoga Alliance Continuing Education Providers, YACEP. I completed my training in Mysore, India. I have studied multiple variations of yogic discipline. The different styles I’ve greeted on this path have been Ashtanga, Iyengar, Yin, Restorative, Power yoga, Vinyasa Flow and traditional Hatha yoga. In addition, pranayama, meditation, chanting, anatomy, diet, mindfulness, and yogic philosophy are essential to my practice. I firmly believe in keeping an open mind and heart in all that you do. This mindset has brought me to various ashrams and yoga programs throughout the world. I have experienced the ways of Osho at the Osho International Meditation Center in Pune, India. I’ve studied at the Sri Sri Ravi Shankar ashram in Bangalore, India. I completed a 10-day silent Vipassana meditation at the Dhamma Shringa in Kathmandu, Nepal. And I’ve practiced at the birthplace of Ashtanga Yoga at Shri K Pattabhi Jois Ashtanga Yoga Institute (KPJAYI). Yoga has helped me through some of the hardest moments in my life and continues to help me to feel free, healthier, and happier each and every day. My objective is to share the art of yoga and lead others on the path of peace and harmony. 3 sets of blankets and a mala will be provided to each participant. The blankets can be used as bolsters or padding as needed. Participants should bring a mat and straps and blocks if you need them (dependent on flexibility). Your trip will also include professional videography and photography. Each participant will receive a digital file of highlights of your once in a lifetime experience in the Land of the Thunder Dragon. Morning Session: Will be truly transformative. You will experience how to breathe and move your body with awareness during the morning Yin and Restorative yoga. The morning session will also sometimes include chanting, pranayama, slow flow and meditation. Evening Session: After a day of exploring and adventure, we will compete our day’s experience by practicing gentle flow, traditional Hatha and Vinyasa yoga in a safe, supportive and grateful evening session. Rest of the afternoon will be open to explore Thimphu town at your own pace. Drive about 1-2 hours to Shalupangkha, a remote monastery, in Gaselo. Open time in the afternoon to explore Paro town.